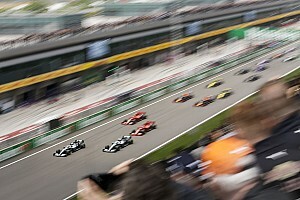 The test moved to the Kent venue for 2019, previously having been held at Donington Park. 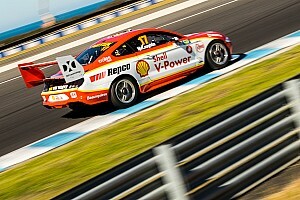 AmDTuning.com driver Tordoff was the only person to dip below the 48-second barrier, ending the day with a 47.927s. That meant he beat Tom Ingram’s lap record for the configuration – a 47.990s, set during qualifying for the 2016 season-opener. He also completed the most laps out of the field, with his morning and afternoon running in the FK2-generation Honda Civic Type R totalling 170 laps. 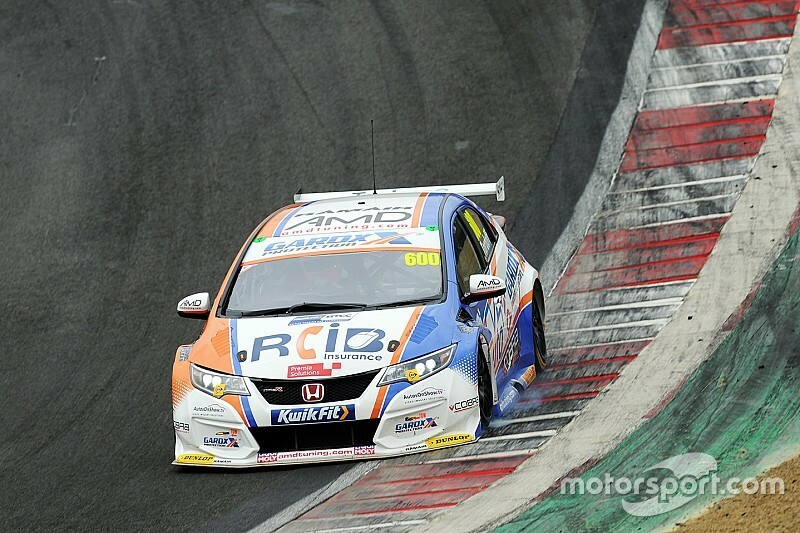 Tordoff told Motorsport.com: “During the day, we did a simulated race weekend – free practice and qualifying this morning and ran through three race programmes this afternoon. 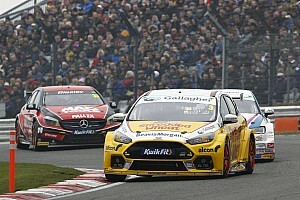 Tordoff's former Motorbase teammate Tom Chilton was 0.110s shy in second place with a 48.037s in the Ford Focus RS, while Dan Cammish was third for Team Dynamics. Cammish managed a 48.053s in the newer generation FK8 Civic Type R, while teammate Matt Neal did not complete any running in the afternoon. Having set the sixth-fastest time in the morning, Neal was forced to travel to Leeds due to a sponsor commitment. 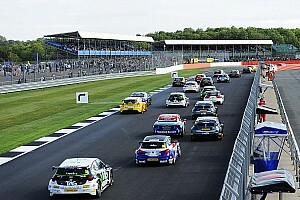 Andrew Jordan beat West Surrey Racing teammates Tom Oliphant and Colin Turkington to finish fourth in the brand-new BMW 330i M Sport as the fastest rear-wheel-drive car. Rory Butcher was fifth, ahead of reigning independents’ champion Ingram in the new Toyota GB-backed Corolla. Although there were no red flags throughout the day, the Speedworks driver did have to sit out the final hour having ran wide at Paddock Hill Bend and losing a sill. 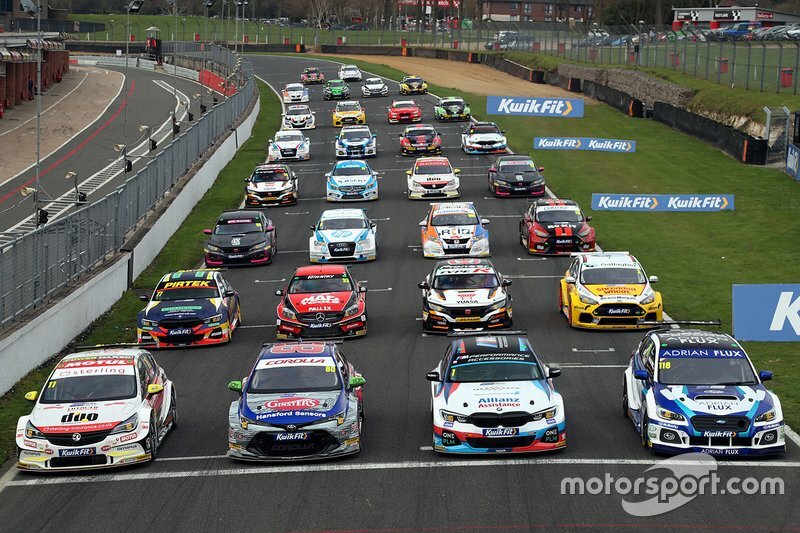 Team BMR stablemates Ashley Sutton and Senna Proctor could only manage 17th and 18th in their Subaru Levorg GTs, with the build on Sutton’s car only having been completed the night before. Two-time series champion Jason Plato’s return to Vauxhall, with which he won his 2001 crown, earned him 19th place in the Astra. Former Formula 1 driver and Le Mans winner Mark Blundell ended the day in 23rd in his Trade Price Cars Racing Audi S3, 0.6s off his teammate Jake Hill.